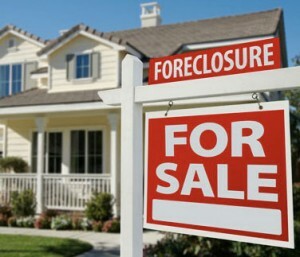 Since the recent economic recession, millions of Americans have been struggling to avoid foreclosure. While some people do end up losing their homes, many other people are able to find a way to stop foreclosure. If your goal is to continue living in your home, then you need to learn – and apply – the various methods available that prevent a lender from foreclosing on you. The moment that you miss the deadline for a mortgage payment, the lender legally considers you in default. This can bring with it various fees and surcharges, which make it even more difficult to pay off the outstanding debt. After a period of two to three months without payment, the lender may legally evict you and foreclose on your home. There are a multitude of reasons you may be having trouble making your payments. It’s important to keep in mind that the primary goal here is to keep your home – every thing else is secondary. This obvious statement is made so that we can understand our first plan of attack to avoiding foreclosure – saving money in other areas. Could your family manage with only one vehicle, or with no vehicles? Can you start cutting your family’s hair at home, instead of paying somebody to do it for you? As ridiculous as this may sound, we can actually save quite a bit of money by cutting down on some of the things we just take for granted as mandatory. By implementing various cost savings measures, you may be able to free up enough money in your monthly budget to afford your mortgage payments. If this is method is already being implemented, but you still need more, there are other options available. Try borrowing from a close friend or family member. It might even be possible for you to sell the home yourself. Of course, if the value of your home has depreciated in recent years, then selling it may still leave you with tens of thousands of dollars of debt. If these options still leave you short, then you’re not completely out of luck. You can always adjust the terms of your mortgage agreement through mortgage refinancing and loan modification. This will drastically reduce your interest rates and lower your monthly payments. In fact, these two processes have helped thousands of families stop foreclosure. No matter which option you choose, keeping your home should be your first priority. By avoiding foreclosure, you’re ensuring that both you and your family are kept safe. And that, as you can imagine, is worth more than anything money can buy.